My precious little Love Bug is starting a new chapter in her life in the next couple of weeks. We’re taking the big step of starting at a day care centre two days each week. She will stay with her family day carer the other three days a week. I couple of weeks ago I got a phone call from a centre where I’ve had my name on the wait list since I was pregnant. I love philosophy they operate under: that children are strong and capable learners, and learn in collaboration with each other. So why now? I feel like she’s ready for more learning opportunities in her every day. She is such a little sponge, and she is interested, engaged and engaging. So I need to give her every opportunity to take in as much as she possibly can. Our ballet lessons also encouraged me to take the day care centre spot. My very shy little Bubba needs to be encouraged out of her shell a little. And speak up when she’s around a group of children. To differentiate between day care and family day care, we’re calling our new adventure Kindy. 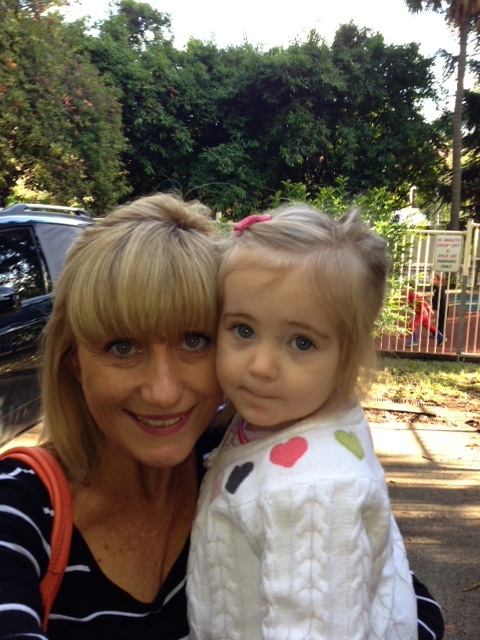 We spent an hour at Kindy together one morning this week. We’ll spend another couple of hours next week and then she’ll have her first couple of full days the following week. I’m nervous. It’s a big change. For both of us. If our first little visit was anything to go by, I’m sure she’ll be fine eventually. So exciting! Fingers crossed that it’s a simple transition. I’m sure she will grow up to love it! !